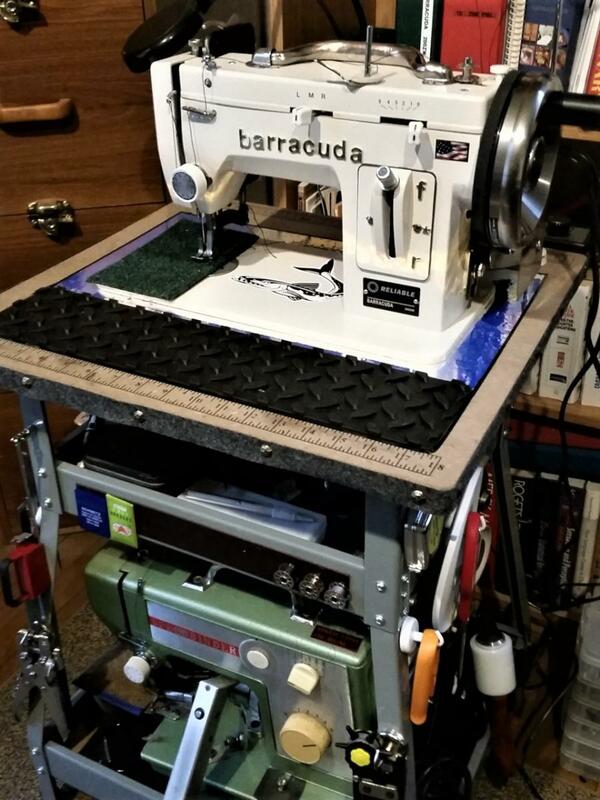 My barracuda on HF work table. Cut hole in the top of the work table to accommodate the machine. The 2nd shelf provided storage for my two "Speedbinder" carpet binders.